If there is one thing I dislike spending my money on is clothing. For my kids they are forever growing and it seems like I buy something today and next week it is too small on them. For myself I am in a state where I have gained a bit of weight from quitting smoking and don’t want to invest tons of money in a wardrobe for a body I don’t plan on having for much longer. 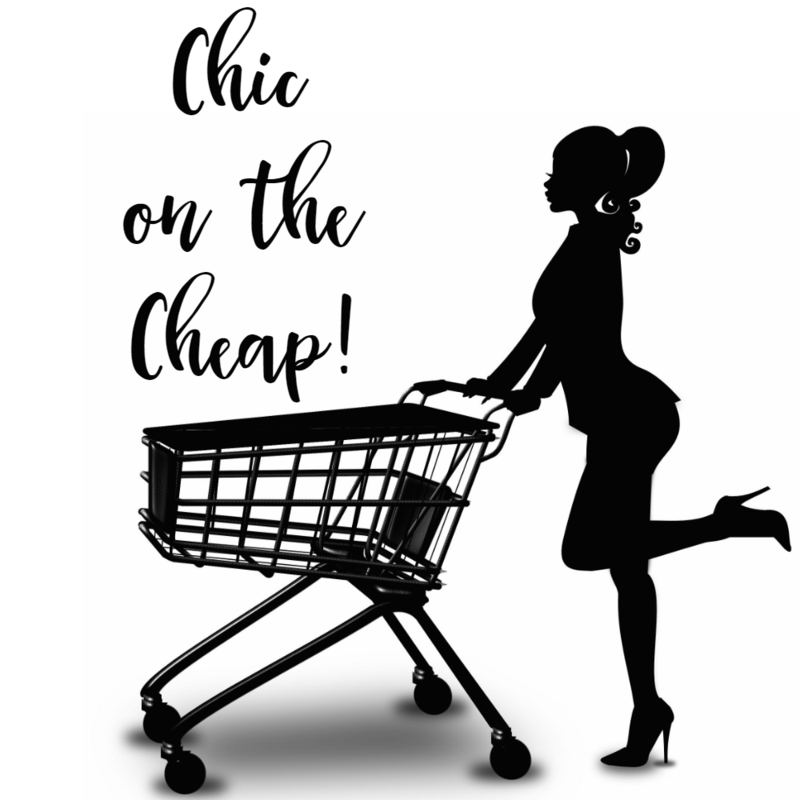 With that said we all just can’t walk around naked so we need clothes, this is where being a savvy shopper comes in handy to be Chic on the Cheap! I recently appeared on The Marilyn Denis Show (link to my segment) where I shared my tips on how to get children’s clothing for less however a lot of those tips apply to adult clothing as well and I am going to share my tips in more detail today on the blog. Shopping at second-hand and consignment stores like Once Upon a Child, Value Village is one of my many ways to save money on clothing. These places are hidden gems for fashionable and name brand clothing on a dime. I have found True Religion jeans for Bella at both Value Village and Once Upon a Child for under $5 a pair, retail price of those are $200 USD or more. The majority of our wardrobes consist of gently used clothing. Buying the bulk of our wardrobe needs second-hand allows me to be able to splurge a bit more on new clothing for special occasions like birthdays, Christmas, and Easter. The clothing at consignment stores like Once Upon a Child is carefully looked over before they purchase to resell. The clothing is in great condition with no stains or much wear at all, I get compliments all the time on how well dressed my children are. A quick google search can tell you if there are any independent consignment stores in your area on top of Once Upon a Child you can shop at to purchase used goods. When Abby and Hailee were little I would always do mom-to-mom sales. If you don’t know, a Mom-to-Mom sale is an event that is held typically on a Saturday at a Church or Rec Centre. Moms and small businesses will rent a table to sell their goods. I would attend Mom-to-Mom sales to sell my children’s outgrown clothing in order to make some money to put towards buying the next sizes my children would need from other moms at the sale. I recently went to a Mom-to-Mom sale in my area hosted by Picks and Giggles and was able to snag tons of name brand clothing for Bella for $1 a piece. Buy & Sell websites like VarageSale, Kijiji and Used.ca are great ways to snag gently used clothing for the whole family for next to nothing. I have to say I have been a huge user of VarageSale as I love the little communities they have on there. I tend to be able to find people closer to me vs searching all of York Region on other sites. The same goes for local Facebook groups, you can really find great deals on clothing. I am a member of many local mom groups on Facebook that are specifically for selling gently used items. I have been able to snag amazing deals on the groups including a pair of Hunter rain boots in mint condition for my daughter Abby for only $5 and a TNA winter coat for myself for only $20. There is nothing wrong with second-hand clothing, so long as they are in good condition and it also doesn’t sting as much if the wee ones ruin or grow out of something quickly when you have paid next to nothing for it. Just like buying used, selling what your children have outgrown can score you some extra cash to offset the cost of new clothing or allow you to save up to splurge on a special wardrobe piece. I took a few bins of Bella’s clothing to our local Once Upon a Child recently and walked out with nearly $300 for stuff that was taking up room in my home. Some of that stuff I had bought second-hand but kept in great condition so I got use out of it essentially for free. I remember the staff at my Once Upon a Child looking me right in the eyes and asking me to bring all of my children’s clothing there as they were almost all name brand and all were in like new condition. I utilize a variety of sites and ways to sell our used clothing, we also hand down what we outgrow or won’t wear anymore to each other. Abby snags all my clothes I outgrow or no longer want, Hailee then gets Abby’s outgrown clothing and well I have once again started to save Hailee’s clothing for Bella. There is a big gap since Bella was born when Hailee was almost 9 but eventually Bella will grow into the clothes. Be sure to do a quick google search and see if there are any independent consignment stores in your area on top of Once Upon a Child you can sell your used clothing to. Also utilize those free online sites and search out local Facebook groups to join and sell on. I generally type in my city (or region) and a bunch of groups will pop up and I just seek out the Buy & Sell groups. This is definitely my playground. I absolutely LOVE hunting down amazing deals online as well as coupon codes to make amazing deals ever more amazing! If you shop regularly at certain children’s stores be sure to sign up for their online newsletters, they will email their subscribers with sales and many times offer exclusive coupons or coupon codes to their subscribers only which can add up to great savings. 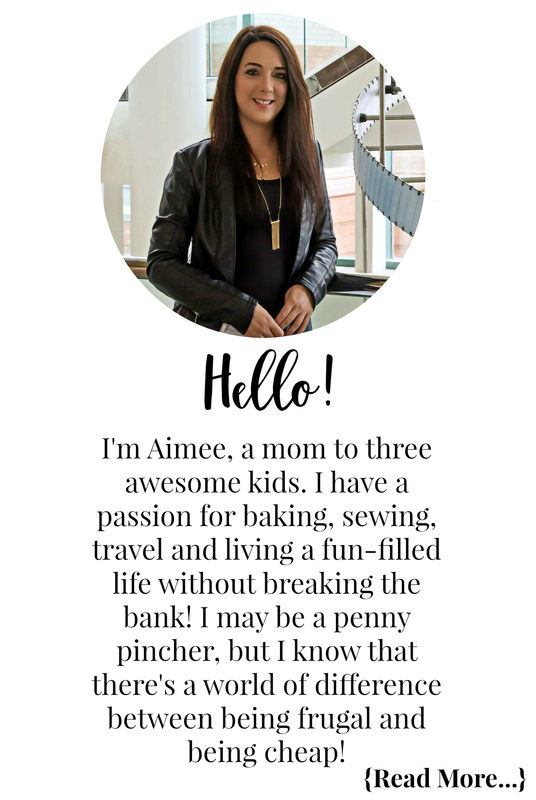 Also following bloggers like myself is a great way to find out about awesome online sales. If I get wind of an amazing sale you can be sure I will be sharing it with my readers over on my Facebook page and in my Facebook group. If you are not following me on Facebook or have yet to join my group be sure to do so because you never know when a good deal will come across my fingertips! I am a clearance junkie! It doesn’t matter what it is, if I see a clearance sign I have to check it out. End of the season clearance is a great way to get crazy deals on new clothing for the whole family. I am constantly stalking my fave online retailers for end of season clearance as well as always checking out my fave retailers in-store as well as the seasons change. I will stock up when the price is right. Last year Hudson’s Bay had Jessica Simpson and Guess clothing for toddler girls on for 90% off retail, I fell in love with two shirts which I bought in every size offered and have tucked them away for Bella. As parents we can normally judge what size our kids will be in come that next season so it really does pay off to shop end of season for the following size. We also know what size we wear at our fave retailers so we can also buy for ourselves for the following season. A few of my fave things to buy during end of season clearance is winter gear; coats, boots, snow pants, and more. Those things you don’t want to buy cheap brands as you want your children and yourself to stay warm and dry so buying name brands during end of the season clearance can net you some big savings! If you have any other tips to getting great fashion for less feel free to share them in the comment section below! I actually made a good friend buying from her through Facebook!